Keep your rolling papers, tobacco/herbs, filter tips and Clipper Mini lighter all in one place with the RAW Smoking Wallet. 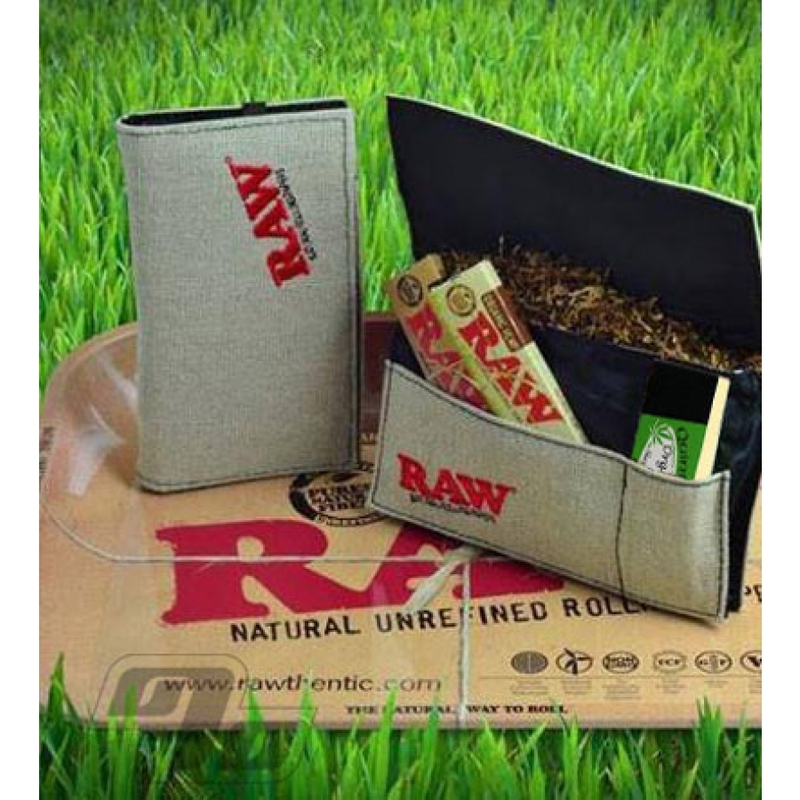 Brought to you by RAW Rolling Papers but of course works with any brand of rolling paper. 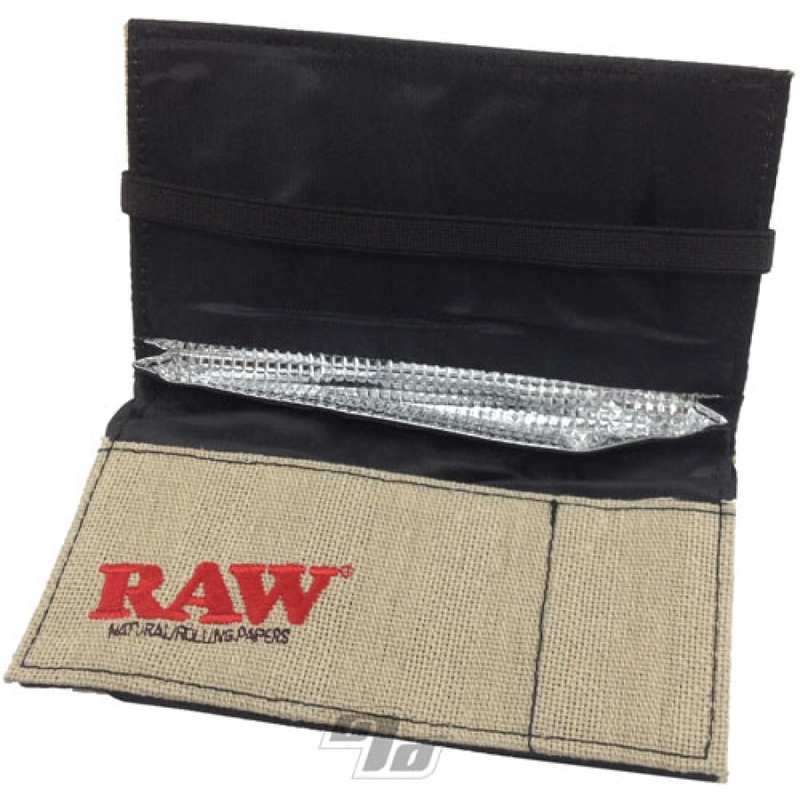 The main pocket of the RAW Smoking Wallet is lined with a special space age foil to keep your tobacco and herbs fresh. Separate areas hold papers, filters, lighter, matches or whatever you need for the perfect hand rolled smoke on the go. The interior of the RAW Smoking Wallet is lined in black nylon to not only help keep moisture out but makes a great rolling surface. A sturdy woven elastic strap keeps it wrapped up in your pocket or bag. RAW Wallet Dimensions: 6in x 3.5in closed and about 6in x 7in open. Keeps odors locked in. I've ordered 2 of these, they can hold a packed tobacco bowl, portable vaporizer or RYO's too. I was skeptical that this would keep tobacco fresh, but it doe! Great product. Holds what needs to be held. Is different than pic but still serves the purpose. This is awesome! Holds everything in one place and is so easy to get stuff out along with putting stuff in it! My husband loves it bc we can just grab it and go! This is really nice, but what I got doesn't match the photos. My front pocket is different. This is perfect for those who roll their own and travel. No more looking around for tobacco, tips, papers, and lighter... it's all there in one place. I THINK the outside material is hemp. For any RAW enthusiasts this is the wallet for you. Great look, accessibility, and attention grabber. Holds everything I need on a regular basis to take of "business" with the joint files im working on. Couldn't ask for anything better. Thanks 1%.